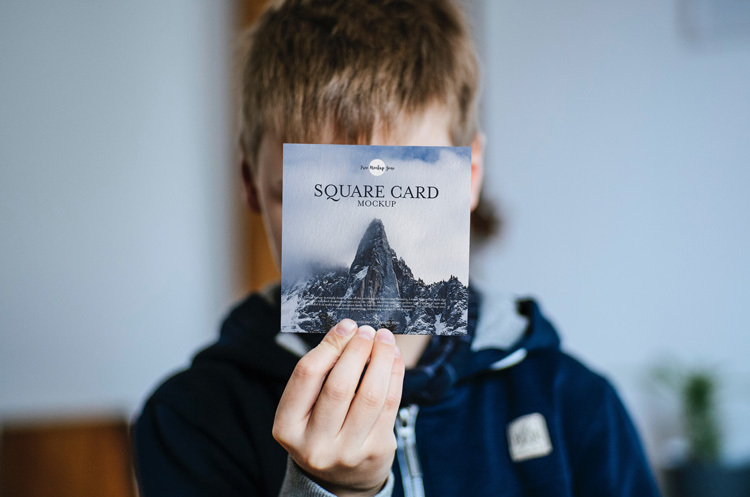 Showcase your creative card design for the final presentation with this elegant Free Little Boy Showing Square Card Mockup PSD. This free mockup designed in PSD format, which include smart-object layer help you to get the desire result. So, feel free to download and must watch our all mockups for your graphics concern.